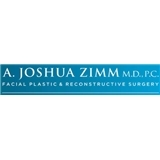 Joshua Zimm, MD (New York) - Book Appointment Online! Our mission is to provide the highest quality, state-of-the art, compassionate, and personalized care to our patients while delivering world class customer service. After training at some of New York’s finest teaching hospitals including New York- Presbyterian Hospital and Memorial Sloan-Kettering Cancer Center, Dr. Zimm completed a prestigious Fellowship in Facial Plastic and Reconstructive surgery with Dr. Peter Adamson at the University of Toronto after being in practice for 10 years. Dr. Zimm and his dedicated staff of health care professionals have endeavored to create an office where cutting edge technology and comprehensive, quality care is provided. Dr. Zimm takes pride in constantly refining his technical skills and continuing his learning in an effort to provide superior results. I love Dr Zimm. State of the art, geeked out, precise and artful surgeon. Also kind, clear, and has all the time in the world for patients. Six stars.